The world needs more animals, not more people. 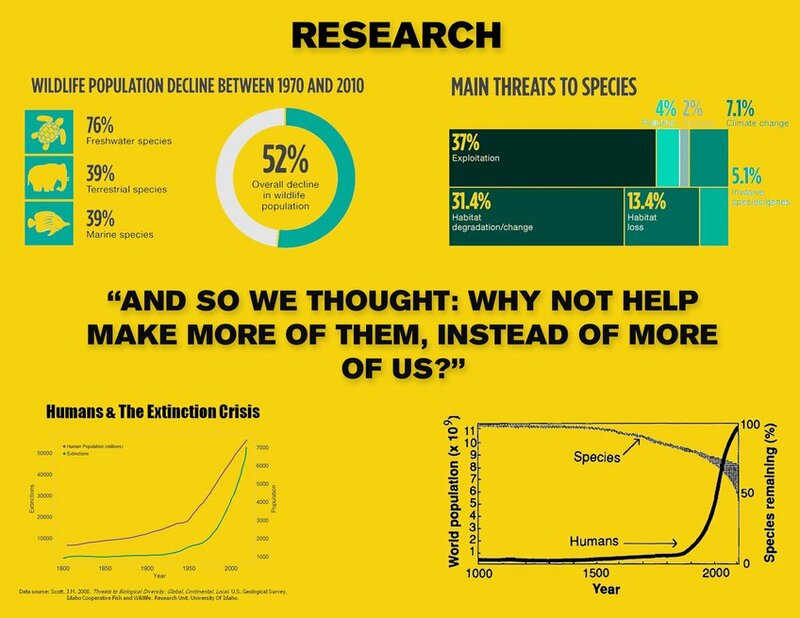 Animals have occupied the Earth far longer than humans, but recently our overpopulation is eating into their communities. 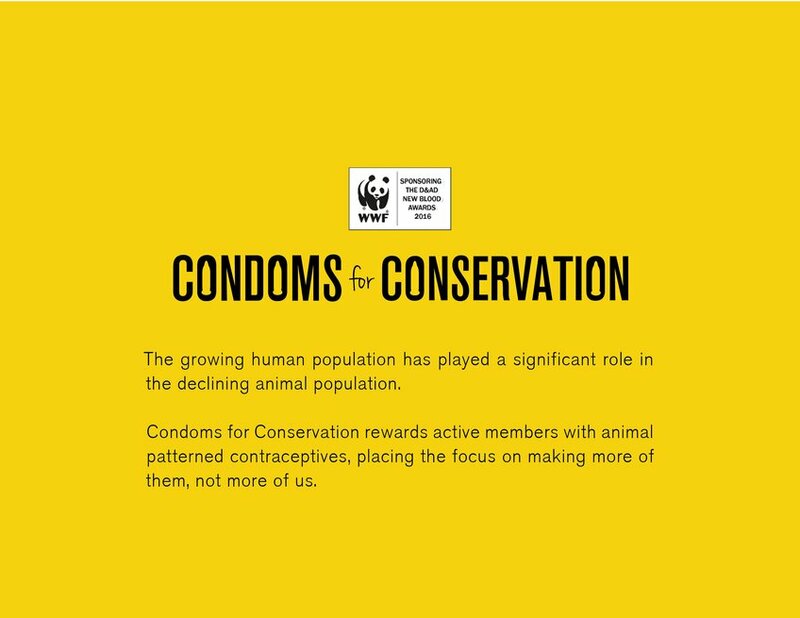 Through Condoms for Conservation, members are encouraged to go deeper in their support of WWF. Each month, they will be invited to aid a different endangered species. 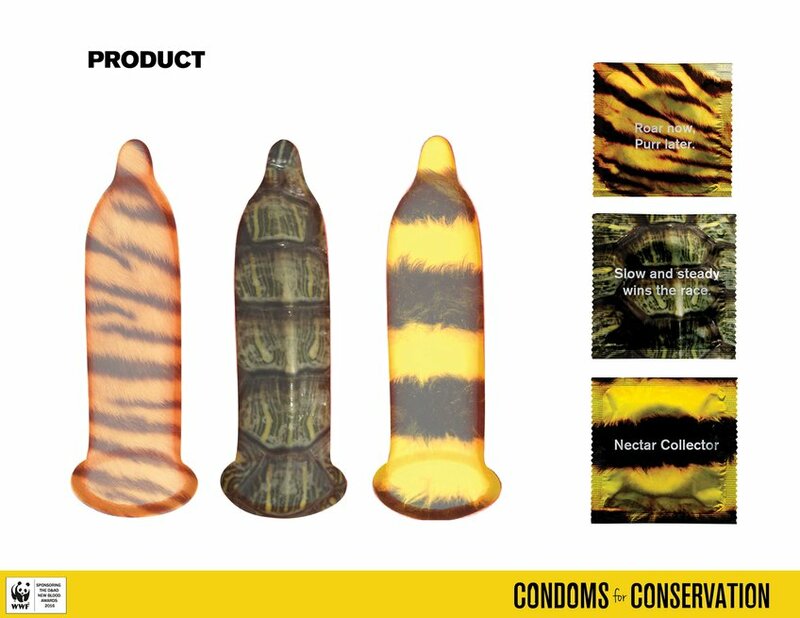 Those who have risen to the occasion will receive animal-print contraceptives, facilitating a happy ending for humans and animals alike.